Every June, all Florentine students participate in Music Exams at the end of the spring semester. Even the youngest students perform for a formal but encouraging panel of 2-3 Florentine teachers so that they learn to prepare and present their accomplishments. Florentine also hosts and supports our students to prepare for various internationally-recognized assessment systems. Every Florentine music student is encouraged to practice scales, etudes, and concert piece. Florentine follows a Syllabus with requirements delineated for Grades 1 through 10, Junior Levels A-D, and an Advanced Certificate. Students will receive a grade and musical feedback on their performance. Students who have consistently taken lessons and practiced for the full year are expected to pass onto the next level. Selected students who achieve a grade of A- or higher in the June Music Exams are called back to participate in a second round, where they will compete against other finalists for scholarship prizes in his or her grade level. The jury panel for the Final Round of Exams consists of distinguished musicians not on the regular faculty. Scholarships are applied to tuition of the following semester. 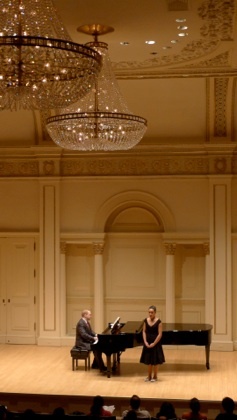 Florentine is a Founding School Candidate of The Carnegie Hall Royal Conservatory Achievement Program, which offers practical and theory exams to measure achievement. The Achievement Program provides a recognized national standard of musical success through an effectively sequenced course of study from beginner to advanced levels. Students are inspired to celebrate their accomplishments and track their progress with others across the country. Please contact our office to register by emailing info@florentineschool.com. 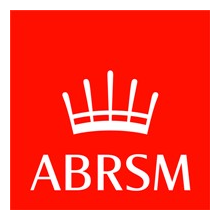 The Associated Board of the Royal Schools of Music (ABRSM) is one of the international standards in musical examinations. It offers eight student grades and advanced diploma levels that are widely recognized by schools and teachers. Every year each member of the Board's team of 600 highly trained examiners assess an average of around 1000 candidates. Florentine’s downtown Manhattan location at 384 Broadway is an official examination site for the practical exam. We also sell a complete set of examination books and materials. Students may register for both the practical and theory exams through our office. Registration deadlines are strictly enforced. Our music teachers can help students prepare for these examinations. Please contact our office to register by emailing info@florentineschool.com. 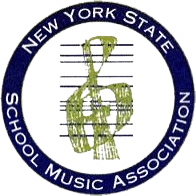 The NYSSMA solo assessment is available for all New York State students. You can register through Florentine to take the NYSSMA assessment in Manhattan at the NYU Steinhardt School of Music location, or the Queens and Brooklyn tests as well. Our music teachers can help students prepare for these examinations. Typically, registration begins in Jan-Feb, and the assessments are held in early June. Please contact info@florentineschool.com for registration dates and fees.